I have 2 Eazy Pod Complete pond filters to move on due to upgrading our filtration. 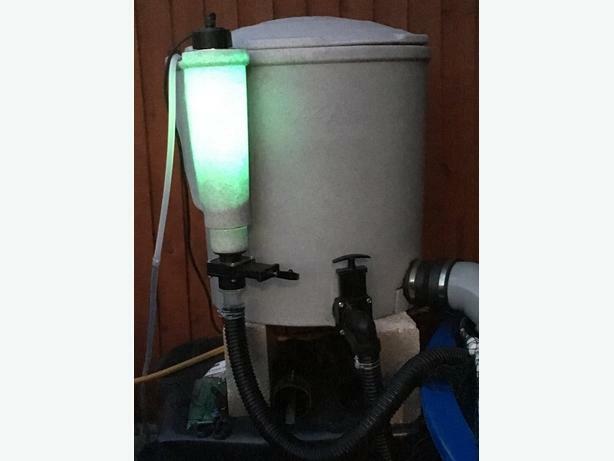 These filters are great all-rounders for smaller pond or vats and are very quick and easy to clean without getting yourself filthy! They have been used by Aurora Koi for the last 2 years and are both in fantastic working condition. This model contains the built in UV clarifier which I can confirm have had the bulbs replaced every 6 months without fail. Cleaning tube and all K1 media included, all you need is an air pump.